Bangladesh forest department job circular with All Govt Application form 2018 Available here. Dhaka ministry of environment and forest. bangladesh forest department Authority Announced This Government New Vacancy For Bd jobs Seeker. 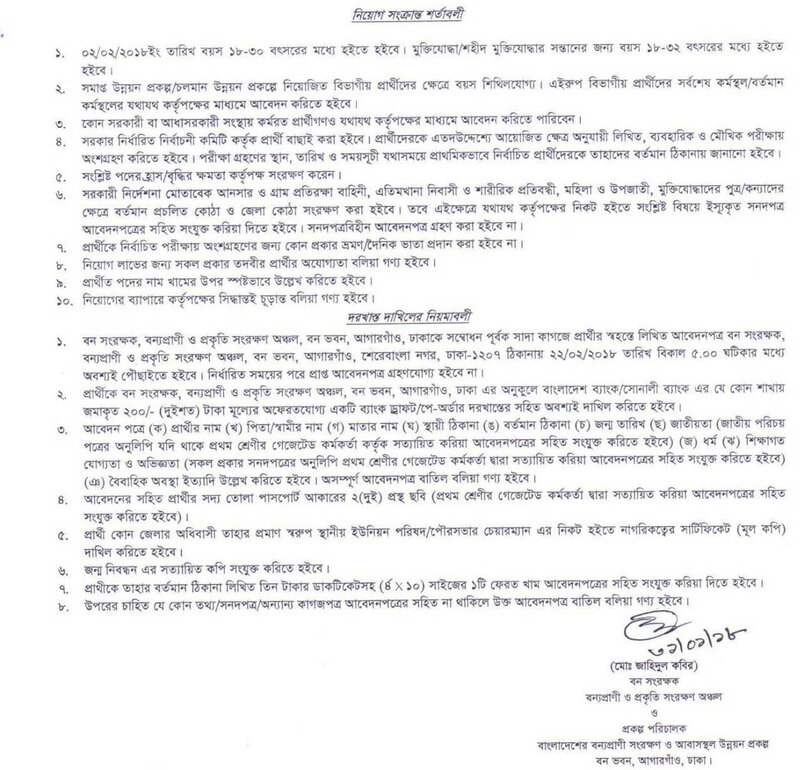 SSC Exam, HSC, HONOURS Passed Student want to apply to forest job circular. Employ Follower Also See bforest.gov.bd Vacancy On Official website. Download www.moef.gov.bd job from Also here. Organization Name: Forest Department Of Bangladesh. Post Name: See The Circular. Application Published Date: 02 February 2018. Educational Qualification: Need to pass Hons and Equivalent examination. Application Starts On Feb 2018.
bforest.gov.bd Salary: 17,054 – 18,300 Taka. Hello BD GOvt Jobs Seeker, You Can Check All Gov Jobs in 2018 in Edujobbd.com. Insite See All Company jobs, All bank Career notice, Ngo Vacancy and Bangladesh Education News. Stay with us for Next forest job Admit Card, Exam Date or viva Results update.